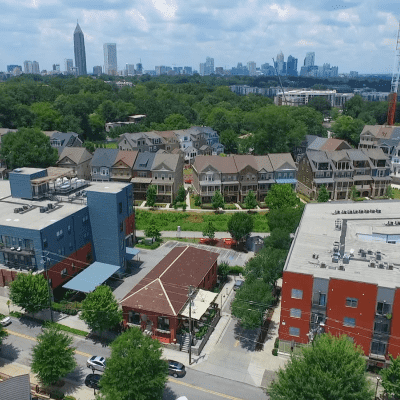 Inman Park was designed as Atlanta’s first planned suburb in the late 19th century by Joel Hurt. The neighborhood is situated on part of the battlefield from the Battle of Atlanta in 1864. The annual Inman Park Spring Festival is comprised of a self-conducted tour of the neighborhood’s homes, the Festival Parade, live music, contemporary dance programs and various markets!